A film for both Halloween and Christmas. Hope you have a frightfully fun Halloween! totally awesome. Happy Halloween. I'm starting something new tomorrow..the 30 day challenge novel. So love the post. All the best on a safe Halloween. I'm loving all of the spooky posts! i definitely love this movie. oh one of my all time favorite movies. I definitely need to watch this again. Hehe this is one of my favourite movies. I still know the verse that Jack sings to Sally at the very end off by heart. 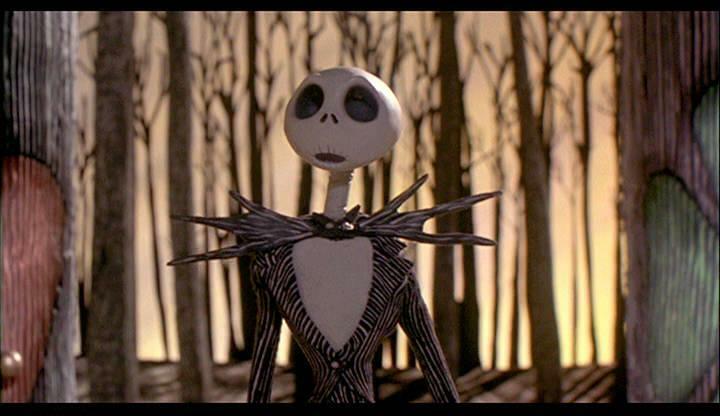 Love this movie -- but I never know which holiday is best to break it out! I could never get into this movie. I am not sure why. I did watch The Corpse Bride this year though and liked it! i so dearly love that movie. it's re-released in theaters here in 3D every year, and i go see it with friends. it's become something of a tradition. My favorite Halloween and Christmas movie. I watch it a couple times of year and have done so ever since I was a kid. Thank god it doesn't freak me out as much as it did when I was younger!